Objectives: Radiosurgery indices, useful in evaluating SRS/SRT/SBRT plan quality are derived from a treatment plan based on a given definition. However some derived indices may vary based on the method used even though the correct definition was applied. We illustrate this using the High Dose Spillage (HDS) that is required in several RTOG protocols, for example, RTOG 0813, and RTOG 0915. T1: HDS = (All Tissue Volume receiving at least 1.05Rx) MINUS (PTV Volume receiving at least 1.05Rx). The External (or Body) contour is used for all tissue. The HDS as derived from T1 and T2 were then compared. Results: The derived HDS as calculated from the 2 techniques was consistently different among all 8 cases. On average, we observed a 90% ± 13% (range, 65% to 100% discrepancy) between T1 and T2. Furthermore, depending on the method used in deriving the new contour in T2, the resulting HDS calculated was different. For example, when we used (a) deriving the new contour using margins, where the new contour is derived from the External contour with zero margin and using the PTV as an avoidance structure versus (b) using the Boolean functionality in the TPS where the new contour was derived by applying External sub PTV. 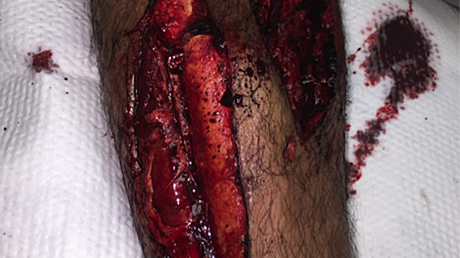 We observed a 21% discrepancy in calculating HDS between (a) versus (b) for one patient. We used Varian Eclipse TPS, version 11.The observed differences in HDS can be attributed to volume round-off errors which may not be significant with respect to the final derived volumes but does have an effect in the calculated HDS as shown. 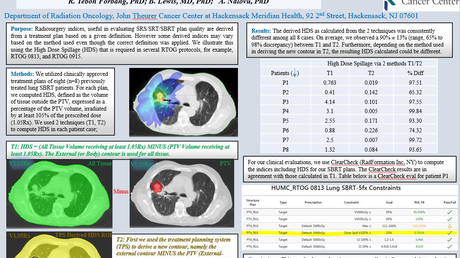 For our clinical evaluations, we use ClearCheck (RadFormation Inc, NY) to compute the indices including HDS for our SBRT plans. The ClearCheck results are in agreement with those calculated in T1. 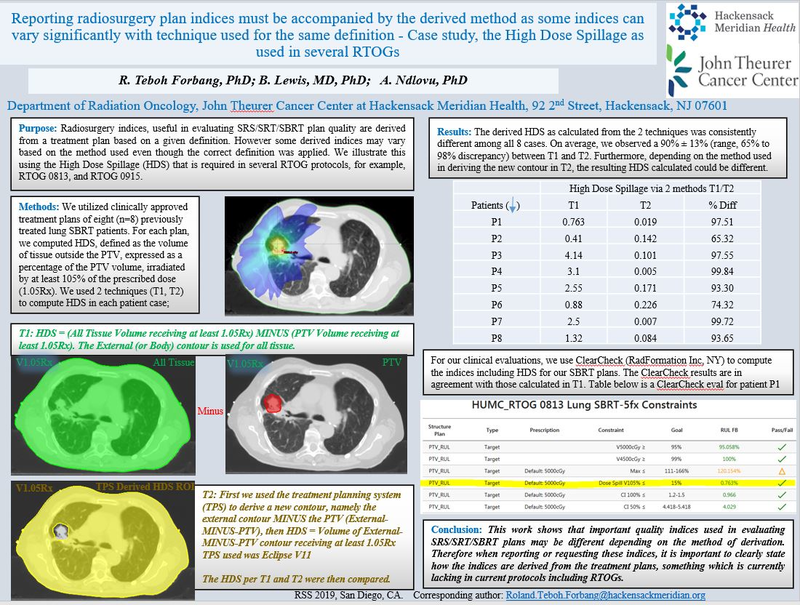 Conclusions: This work shows that important quality indices used in evaluating SRS/SRT/SBRT plans may be different depending on the method of derivation. Therefore when reporting or requesting these indices, it is important to clearly state how the indices are derived from the treatment plans, something which is currently lacking in current protocols including RTOGs.